Based on nearly 15 years of research, travel and hundreds of interviews in the US and Canada, Spark is the story of a century-old multinational American manufacturing company that has built its success around a radically innovative approach to management with provocative implications for business, labor and society. While factories across the Midwest have shuttered their doors over the past year, Cleveland-based arc welding manufacturer Lincoln Electric has continued to thrive as it has for more than a century. It has remained the market leader in a steadily expanding global industry since the 1930s. In addition to being profitable and technologically innovative, through good times and bad, the company has fulfilled its unique promise of “guaranteed continuous employment.” Workers are viewed as valuable assets — not liabilities – and treated as such. For at least 60 years, and probably more, no worker at Lincoln Electric who is covered by the guaranteed employment policy and who meets the firm’s performance standards has been laid off due to a lack of work. Furthermore, for 75 uninterrupted years starting in 1934, the company has paid out a merit-based profit-sharing bonus that has almost always exceeded 60 per cent of each employee’s basic earnings: In a number of these years, it has exceeded 100 per cent. In 2008, the average bonus paid out was $28,873. 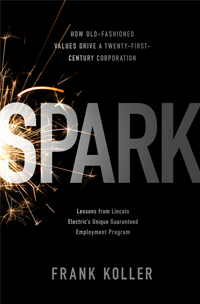 Through flexible hours and job assignments, Lincoln Electric’s employment policies have proven healthy for the company’s bottom line, its customers, its employees and its shareholders. A 1975 case study on Lincoln Electric’s management strategy by Harvard Business School remains the best-selling case in the school’s history. The case is also taught in MBA programs at universities around the world, but almost everywhere, a tone of “perhaps interesting, but probably irrelevant for the modern age” infects most academic analyses of Lincoln Electric’s success. Through thick, and thin, Lincoln Electric has been able to sustain a truly unusual relationship between its employees across every level of the company. The firm’s perennially robust profit margins (driven by consistently innovative technology), the dramatically heightened job security and quality of life enjoyed by its employees, and the benefits that accrue to the local Cleveland economy should give the rest of the North American business world pause. 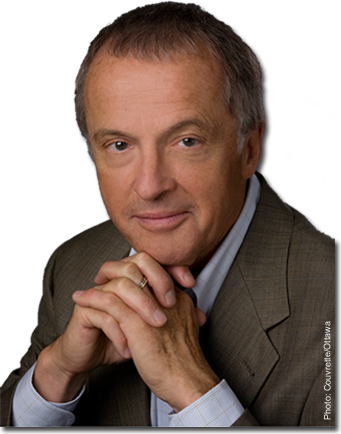 In Spark, veteran journalist Frank Koller tells the story of how this unusual and profitable Fortune 1000 multinational company challenges the conventional wisdom shaping modern management’s view of the workplace. Through insightful storytelling and extensive interviews with executives, workers, and leading business thinkers, Koller uses Lincoln Electric to illustrate how job security can inspire powerful economic growth and fuel prosperity in our communities.